Storage unit with three sections. 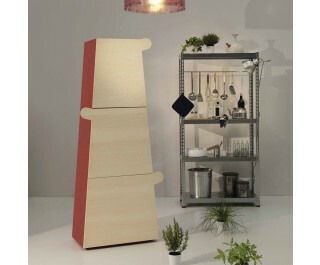 Powder coated MDF unit, available in the following colors: white, black and red. Door made from plywood with polished-ash veneer.